Experian has appointed Ruder Finn as its digital and social media agency to help change perception that it it is just a credit referencing company. Ruder Finn’s remit will be to work with Experian Marketing Services on a b2b contract as it reviews its digital comms across its Hitwise and Cheetahmail businesses. Hitwise is Experian’s internet measurement service, which helps marketers improve their online marketing, and Cheetahmail is an e-mail marketing service provider. The agency will target marketing and brand professionals through digital comms channels to promote the two businesses. PRWeek reported that Experian was looking for a digital agency last week. Experian digital PR manager Alexandra Banks told PRWeek: ‘Ruder Finn will help us to raise the profile of these two businesses by communicating directly with key marketing influencers and positioning us as thought leaders in the industry. ‘We want Ruder Finn to help promote our digital products, as well as help us communicate more effectively digitally. Experian will continue to work with Blue Rubicon, which handles PR in the UK and Ireland for its SME businesses and marketing services. 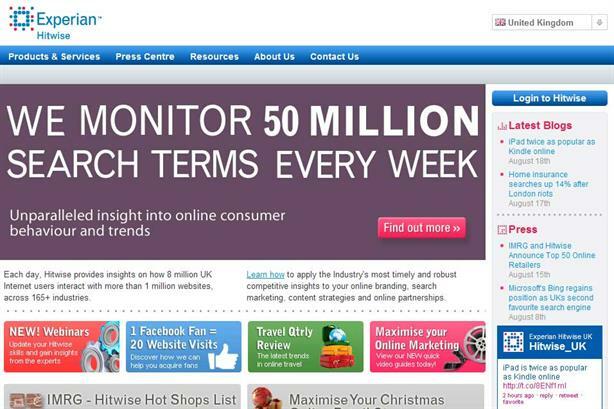 Spark PR will remain engaged by Experian’s social media technology company Techlightenment.